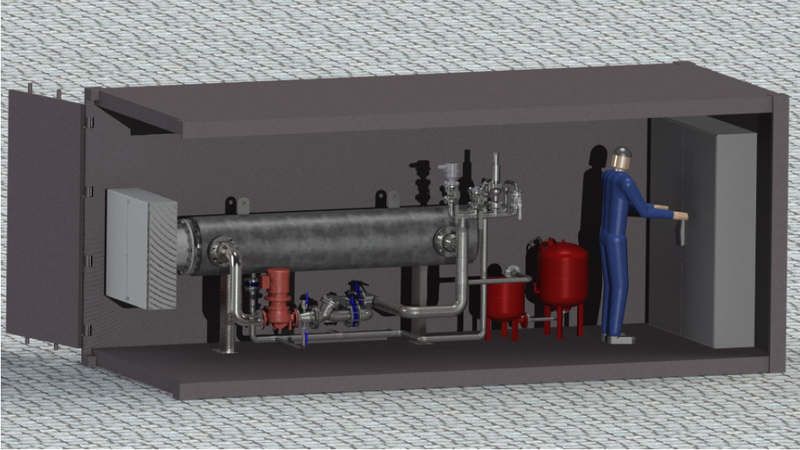 The latest development is a total boiler installation, installed in a 20-feet (could be large or smaller depending on the size) container, as is known from co-generation power plants. The HeatCube is a mobile unit, which can be installed completely and TÜV tested within 1-2 working days at the destination (such as biogas plants or other fields of application). This container system has a modular design so that electrical power from 0.25 MW up to 1 MW (or expandable by connecting several modules) can be generated. The OhmEx company regularly gets itself certified externally - so we keep our quality consistently high!